The stories that made the most impact in the global forex industry this past week, judging by their popularity with our readers, involved the success of FXCM’s new business model, as well as important developments from China, Russia, New Zealand and the United States. On Wednesday, we learned that the recent change in the pricing structure of FXCM (NYSE: FXCM), offering raw prices with commission charges and a revised $2000 minimum entry point for new traders, has had a positive impact at the firm’s US division. 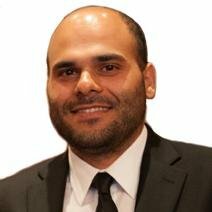 The broker reported exclusively to Forex Magnates in an emailed interview that trading volumes in its US division rose significantly. The US was the first jurisdiction that implemented the new minimum deposits, and October metrics showed that volumes spiked 51% from figures reported in September. On Tuesday, we broke the news that brokers who are located in New Zealand but don’t provide financial services to clients in the country will not be faced with the need to provide a hefty minimum capital requirement totalling NZ$ 1 million. 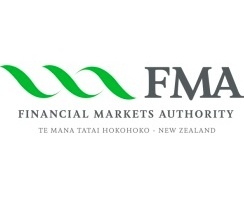 According to legislation, the New Zealand Financial Markets Authority (FMA) does not require offshore brokers to get licensed by it in order to provide their services outside the country. It remains to be seen if traders continue to trust New Zealand registered companies from now on, knowing that they do not enjoy the same treatment as local residents. SWIFT Sanctions Will Mean War! On Thursday, Andrei Kostin, chief of the VTB Bank, the second largest bank in Russia, warned the West against excluding the Russian banks from the international payment system Swift. 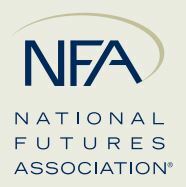 We reviewed the industry’s reaction to the US financial regulator National Futures Association’s (NFA) proposed changes to deposits in forex accounts through credit cards, which are causing friction among market participants. The move could further reduce the already endangered marketplace for US retail derivatives after the Dodd-Frank Act saw the US market reduce in size. However, brokers are quickly on the lookout for alternative payment methods that are legal and compliant in a bid to safeguard their clients. It was revealed during the past week that Chinese authorities have allowed a local broker, Guotai Junan Securities Co., to trade in the domestic interbank foreign exchange market, making it the first non-bank player in the field. 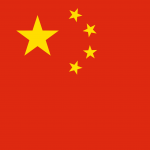 The move would represent the most significant step by Beijing to liberalise the country’s financial markets since March. It is interesting to note that, as part of the multi-asset margin trading Guotai Junan offers in Hong Kong, the broker’s service includes leveraged retail margin FX, albeit with accounts denominated only in USD so far. New Zealand is trying to be the BVI for ‘regulated’ forex brokers / dealers, apparently.